Hello, my name is Lance Nelson. Thank you for visiting BanskoBlog.com today. Here you’ll read articles that help your search for the best value available in Bansko. Bansko Blog reflects my passions for outdoor life, the mountains and of course the winter ski season. In summer you’ll read about other topics from property ownership to Sofia and my travels around Bulgaria. I enjoy photography and post my efforts on facebook, twitter, pinterest as well as latest news and views. On youtube you will see regular snow and weather reports. We should all expect good service from Bansko businesses too. From a Sofia airport taxi, or a Bansko foreign exchange booth to restaurant or bar — it may not be all what it seems. Take a browse of the catalogue of over 1,000 pages and subscribe today for my top tips. I hope your time in Bansko, and Bulgaria, is enjoyable and I hope you find time to comment on your favourite restaurant, wine, beer or event. Maybe it’s because I feed on a rich diet of positive feedback, that I keep these going. But I think the services offered have a strong reputation on delivering value and service in Bansko. I will only promote businesses that are passionate about delivery quality service and value. And who are keen to receive feedback to help improve further. So, looking under the bonnet of BanskoBlog, you’ll notice a bit of a weather obsession going on. You’ll see live streaming web cams and personal weather reports from me, and my loyal group of snow and weather reporters. You will also see my personal, no compromises, view on life here in Bulgaria. They say testimonials are good for business: well I break my About story for some words from one of our ski and snowboard packages clients. We are bringing more and more value to ski package clients for both new and regular visitors alike. So do sign up for my free The Essential Guide to Bansko. This guide is updated regularly and new copies are sent out before the ski season. The guide can be forwarded on to others visiting Bansko or printed out and left in your apartment if you a property owner in Bansko. Watch out in for the ski package booking we have for both our ski packages clients and our subscribers. For many years I have been working on the many small details that go up to make a wonderful holiday experience. In short, it is the small personal touches that makes the services here different. 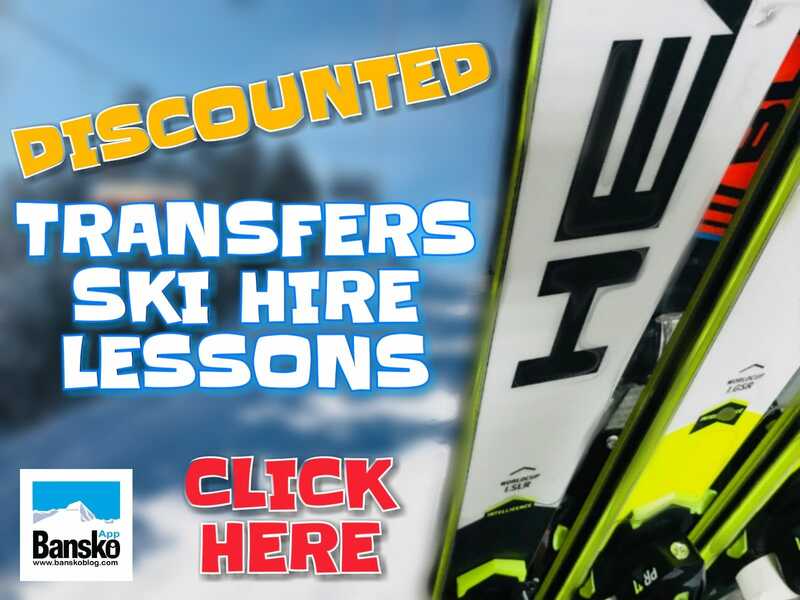 From your questions at the time of booking, to airport arrival, transfers with free WiFi, arrival in hire shop — and ski/board hire and lessons — we have time. If you’re putting your own package together, then we understand that everything must be as intended. Try our booking service today and get the right package for your needs. I enjoy eating out and discovering good food and new wines. I have been busy discovering more about beer in Bulgaria too. On my travels around Bulgaria I am also learning about the rich history and culture to be found here. You will also see articles come from a small team of contributors. They share the same passion to enjoy the best in life and share their experience to enrich all of ours. Bansko, for me, is more than the sum of its parts. The skiing, the mountain setting, the old and new, the fresh air, the events, the culture, the people, the bars and clubs combine to make Bansko and Bulgaria a hugely enriching experience. Armed with good down to earth information it’s possible for everyone to avoid the traps and appreciate the beauty of Bansko — and many other fine regions of Bulgaria including Sofia. Welcome to my nonsense blog, and to my Bansko, shared. Expect news and reviews on events, weather reports, child care, transfers, bars, clubs, events, activities, services, ski lifts. Places to visit in Bulgaria, and real local experiences that will make you want to come back to Bansko for more. There is a searchable database of over 700 pages — many include tips to help travellers, skiers, owners and residents enjoy the Razlong and Bansko areas. As the site has grown so has the subject matters… see ski fashion guide 2010. For the Bansko curious, please search on the front page for information contained in the articles . For the travel, mountain and music enthusiasts, articles range from accommodation to the annual Jazz Festival, the Film Festival, and self catering shopping ideas and even wine reviews. Form festivals to special nights out you’ll find news of what’s going on. You’ll find even more on the Bansko App which has 500+ five start reviews. It’s free but there is a really worthwhile Premium in-app purchase that will enrich your stay even more. Bansko will become increasingly recognised as a resort for affordable luxury. Property Owners See tips on how to rent in Bansko: https://banskoblog.com/how-to-rent-bansko-property/ and some ideas for furniture shopping at IKEA in Thessaloniki: https://banskoblog.com/ikea-thessaloniki. 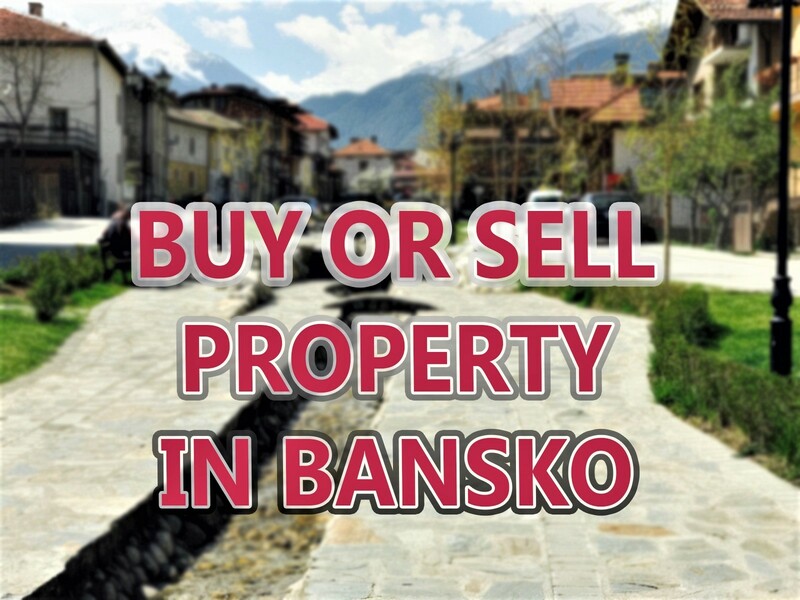 Read about how to rent your property, owners’ Associations, property management as well as full facilities management and how best to protect your investment in Bansko. Subecibe to be sure not to miss this. Activities Check out the Pirin Golf And Country Club nearby: https://banskoblog.com/pirin-golf-and-country-club/ or check out current issues… https://banskoblog.com/bulgaria-smoking-ban/. I hope you find what you are looking for on my web site. If you subscribe and you don’t see what you are looking for, then drop me an email and I well help. Contact me here. Your comments and feedback are welcome. 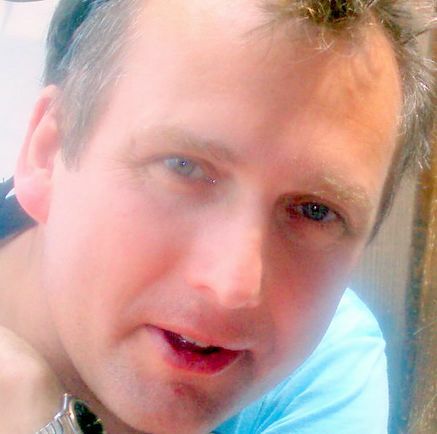 About Me I was born in Huddersfield, West Yorkshire, UK. My parents, originally from the south of England, moved up to Huddersfield in West Yorkshire in the 50′s, so my father could be near work. I’m the youngest of four children, and fortunate to be have been taken on family ski holidays from such a young age. But less lucky with the “hand me down” ski clothes! My father got the skiing bug. So our week abroad was in the winter, usually Easter, for a weeks skiing. My first skiing experience was in Obergurgl, Austria aged 5. Leather lace up boots, with ankle moving technique, is a world I remember. A far cry from the carving skis and boards we enjoy today. Not long after came those high plastic boots, sure to bruise your shins to painful blue. Some of you may recall these days. Ski clothing was just ski pants, goggles and socks. The quilted thin everyday anoraks seemed perfectly okay for Easter temperatures, I think. In the 80′s the high street C&A department store sold skiers the bright ski suits. Those days saw our family ski trips working their way around a diverse range of Austrian, Italian and French ski resorts. My memories of these annual family ski holidays are the finest. And skiing still, for me, often brings back those great memories. I’ve been coming to Bansko since 2004 and this blog was bourne out of a need to show pictures of my apartment to skiing friends who were looking to go skiing. But they asked me questions, then others did too. Questions such as how to get there; airport transfers; tuition; creche; babysitting; lessons, ski hire, bars and restaurants and accommodation; hotels, chalets, apartments. I also wanted to ensure visitors got the best out of Bansko so I share my experiences of the area and recommend services that meet my standards. I have also been fortunate to travel around Bulgaria at various times of the year and enjoy a great network of fellow skiers and paragliding friends to help. But there has been a lot of trial and error along the way. So, after some positive comments, and also some requests from Bansko property owners to rent their apartment’s too, I kept this blog going. There came a day when I had to organise my life to be more exciting. Now I find myself enjoying my time developing the blog and sharing what I find both in Bansko, Sofia and on my travels in Biulagria. Both work and time off are now so much more fulfilling. What you see now has been consistent effort since early 2009. By 2011 the business of ski package provision enabled me to leave the regular 9 to 5 job and start building more stepping stones to a better online Bansko Blog world. So now living in Bulgaria and working on Bansko Blog full time my projects include the Bansko app (launched February 2012), the new Essential Guide to Bansko (launched March 2012) and the most flexible online booking system I know (launched January 2012). More project under development which will add value to the Bansko experience for all travellers to Bansko. How Bansko Blog works There are many businesses in Bankso visiting this site. Some have asked me to review their services – which I do so when I am able to. These are more “economic” times and, in the same way some of us are adjusting our shopping to Aldi or Lidl budget supermarkets, we are also looking at more affordable ski and summer mountain resorts. Quite simply, we are changing our habits – at a historic pace. I am, like so many, much more motivated to find low prices and fair value in places I previously would not have considered. So it is the same with skiing destinations, they evolve over time. Bansko’s time has arrived. Bansko and Bulgaria are perceived as cheap by some. Yes, it is quite cheap, accommodation, eating out, alcohol, ski lessons, lift pass … they all add up to make a trip here great value. But one of my goals is for visitors to return having seen that it also offers affordable luxury and world class service. Bansko does deliver for “price conscious” tourists. That’s often why they came in the first place. But its value and a high service standard that brings any of us back to a place. Finding value in Bansko, avoiding some traps is really simple. And with visitors arriving from all over Europe, more choice and more facilities will continue to enhance Bansko‘s unique appeal. But things can always be better. On Bansko Blog, Bansko App and twitter.com/bansko you receive the info you need — straight away. And I retweet anything interesting I see. 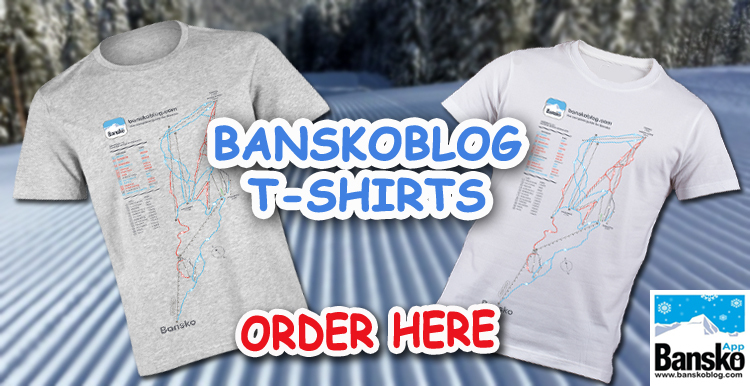 you can contribute in Facebook/banskoblog and the in-app Bansko Chat. My desire is to see that the customer comes first. If we come and enjoy the Bansko and Bulgarian experience, then we return again and again and often for longer and longer.If you are looking at Bansko for the first time, I hope this blog helps you. However, to get the most benefit you need to receive updated information along with related deals that help to drive maximum value from your time in Bansko and Bulgaria. Sign up now and you will receive useful info straight away – including the jam-packed with info report, all for free. Don’t waste your hard earned cash by not being equipped to avoid the traps for the unwary. Still not sure? Take a look at the feedback page – just click here. I invite you to use the ski hire, lift pass booking service I offer. You are sure to save money from in resort prices. Check out the selection of high quality homes to rent on this site too. Flexible, and affordable privately owned accommodation for high comfort and big value family holidays are in good supply. But contact me if you would like some guidance on what my be best for your requirements. Finally, please can you share your opinions and comment? Good and bad experiences are welcome…. Bulgarians, expatriates, part time residents and visitors – help make Bulgaria a better place to stay. Just comment below any post or, if you prefer, go to contact form. If you like what you read, please pass it on. Until next time, here’s to our Bansko.